[update] We have received several new spy images of a different prototype, this time without any sort of camouflage. 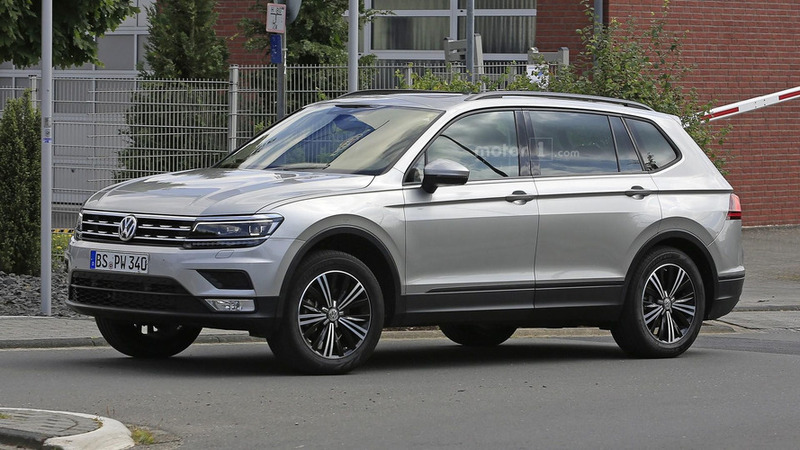 Even though one of our readers captured on camera a camo-free prototype of the Tiguan LWB just last month, VW decided to apply some disguise on this one which looks ready for production. For some odd reason, it resembles the previous-generation Kia Sportage because of the stickers applied onto the headlights and taillights. In addition, the vehicle’s real grille remains partially hidden under a fake Kia ‘tiger nose’ grille while the stickers on the lower half of front and rear bumpers mimic the fog and reverse lights of the South Korean compact crossover. 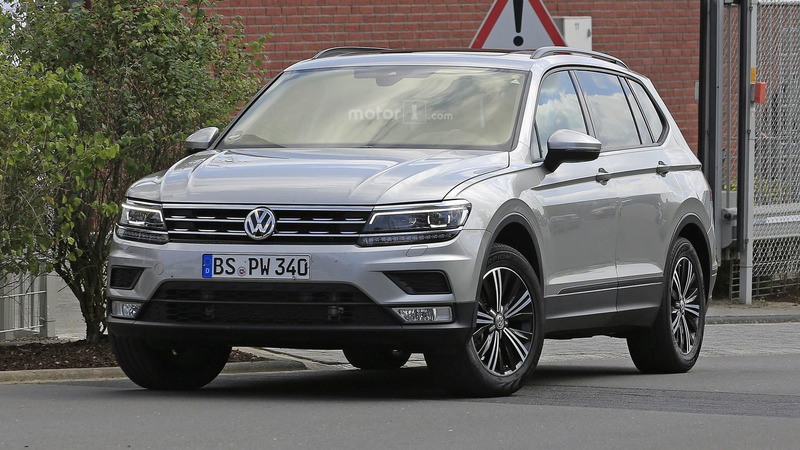 Beyond that, it looks exactly as you would imagine it, like a stretched version of the European five-seat Tiguan from which it has borrowed the MQB platform. The extended wheelbase is clearly visible, as are the much longer rear doors granting access to a more spacious interior with extra rear legroom. 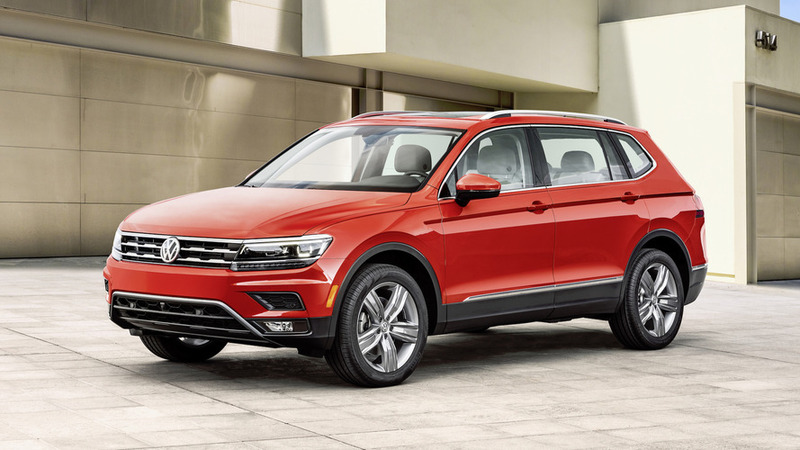 Set to be manufactured in Puebla, Mexico, the seven-seat Tiguan will be powered by an assortment of gasoline engines, with the 2.0 TSI likely to be on offer. It’s unclear at this point whether Volkswagen of America has plans to sell the SUV with a diesel engine given the TDI scandal. Regardless of what will power it, a front-wheel-drive layout is going to be standard, with more expensive versions bound to get the grippy 4MOTION all-wheel-drive setup. An online reveal is expected to occur in the months to come ahead of a public debut in November at the Los Angeles Auto Show. Production is slated to begin early next year which means deliveries should kick off in the spring.